With our years of experience and expert local guides, Wilderness Inquiry leads world-class Kenyan safaris. Each is designed to provide you with “Big Five” game encounters; rhino, elephant, lion, Cape buffalo, and leopard abound in the Maasai Mara. You will also leave Kenya with a deep and abiding love for the people you meet along the way. Watch the sun set over the plains, camp out under the stars, and view wildlife on foot and from comfortable four-wheel drive vehicles. Over the years we’ve refined our itineraries to create the best value for you. Our mainstay Kenya Wildlife Safari is the best way to see African wildlife and culture up close. Our Mt. Kenya Hike is one of the most beautiful and unique mountain experiences anywhere. You will enjoy exotic plants and animals in equatorial alpine meadows and plateaus, and the views from the top are fantastic. We also do a lot of Safari’s and adventures with partner organizations, like Friends of Ngong Road. 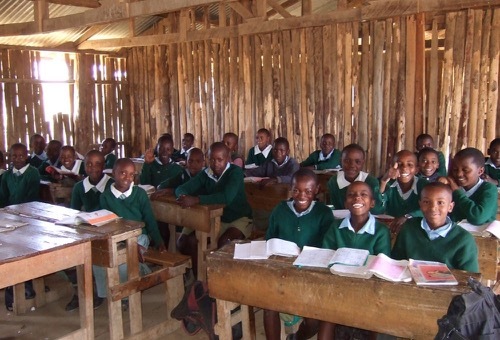 This Minnesota based non-profit provides educational opportunities for kids living in poverty in Nairobi, and we help bring their supporters on safaris. 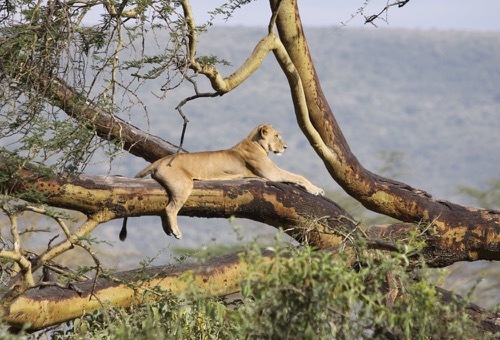 Kenya is famous for its safaris and diverse, world-famous wildlife reserves. Tsavo National Park, the Maasai Mara, Nakuru National Park, and Aberdares National Park attract tourists from all over the world. Natural and cultural wonders make Kenya a must-see destination for any world traveler. Kenya lies on the equator, and borders the Indian Ocean, Tanzania, and Uganda, among other countries. Kenya’s capital city, Nairobi, lies next to a national park. Kenya’s climate is warm and humid along its coastline on the Indian Ocean and in the wildlife-rich savanna grasslands that stretch inland towards the capital of Nairobi. Nairobi’s climate cools as you move towards Mount Kenya, which has three permanently snow-capped peaks. The warm and humid tropical climate reappears further inland towards Lake Victoria, before giving way to temperate forested and hilly areas in the western region. Lake Victoria, the world’s second largest freshwater lake (after Lake Superior in the U.S. and Canada) and the world’s largest tropical lake, lies in the southwest part of Kenya and is shared with Uganda and Tanzania. Mount Kenya, an imposing extinct volcano, dominates the landscape of the Kenyan Highlands east of the Rift. Mount Kenya lies about 140 kilometers north-northeast of Nairobi with its northern flanks across the equator. 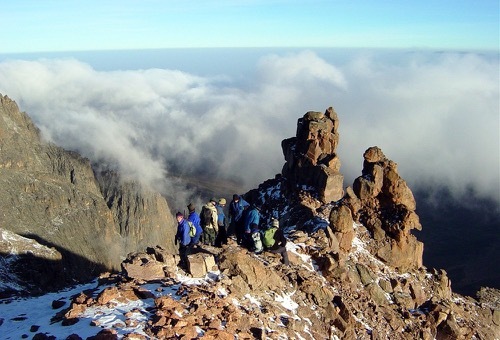 The mountain has three main peaks – Batian (5200 meters), Nelion (5188 meters), and Point Lenana (4985 meters). The mountain slopes are cloaked in forest, bamboo, scrub, and moorland that give way to rock, ice, and snow as you ascend in altitude. Designated as both a Biosphere Reserve and a World Heritage Site by UNESCO in 1997, Mount Kenya covers 715 square kilometers. This reserve includes the peaks consisting of all the ground above 3200 meters with two small salients extending down to 2450 meters along the Sirimon and Naro Moru tracks. Surrounding the park is Mount Kenya National Reserve with an area of approximately 2095 square kilometers (517,000 acres). The tourism sector has exhibited steady growth in most years since independence and by the late 1980s had become the country’s principal source of foreign exchange. Tourists, the largest number from Germany and the United Kingdom, are attracted mainly to the coastal beaches and the game reserves, notably, the expansive Tsavo National Park (20,808 square kilometers, or 5.14 million acres) in the southeast. Tourism has seen a substantial revival over the past several years and is the major contributor to the pick-up in the country’s economic growth. Tourism now ranks as Kenya’s largest foreign exchange earning sector, followed by flowers, tea, and coffee. Kenya’s population is quite diverse. About 50 million people live in Kenya, coming from 42 different peoples and cultures, including, Swahili on the coast, pastoralist communities in the north, and many different communities in the central and western regions. The Maasai culture is well known, despite being a minor percentage of the Kenyan population.